Pressed for time? On a budget? Never fear! 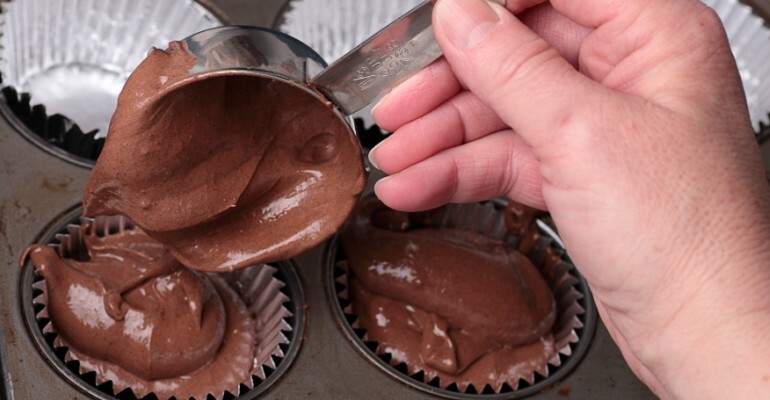 Make these easy 2-ingredient Coca Cola chocolate cupcakes! Nothing beats making a dessert that is chocolatey and sweet. Normally, making these kinds of treats takes a lot of time and effort. However, that is not the case with these yummy 2-ingredient coca Cola chocolate cupcakes. The only ingredients in these 2-ingredient Coca Cola chocolate cupcakes are a can of Coke and a cake mix. That’s it! My kids love to make these cupcakes and they always turn out great. I like to frost them with vanilla frosting with a cherry on top. It’s like a cherry Coke cupcake! USE THE RED NEXT PAGE LINK BELOW FOR THE 2-INGREDIENT COCA COLA CHOCOLATE CUPCAKES RECIPE. Quick Tip: You can also make different flavored cupcakes using a vanilla cake mix and your choice of soda pop. I’ve made lemon-lime before with Mountain Dew.